It’s everywhere. It can find me anywhere. My car. My desk. My notebooks. My calendar. My kitchen. My bathroom. My closet. Even in my fridge. 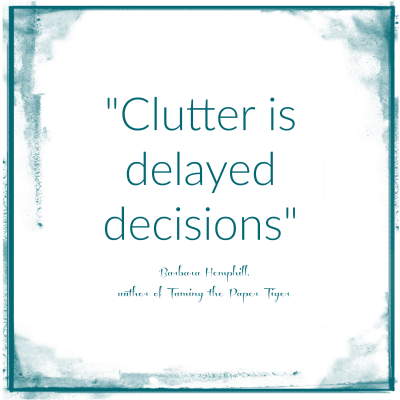 What is clutter? Why is it so overwhelming and sometimes SO debilitating? I recently found the most clear, concise and most absolutely applicable definition. It’s changed my whole mindset around clutter. I look around my office where I’m writing this now. There is some clutter. Piles of paper, a stack of books, twisted mountains of cables (to which electronic device I have no idea – we probably don’t even own it anymore), a bin of wall repair / painting supplies … you get the idea. In this one tiny room I have evidence of delayed decisions. What colour do I paint the walls? Where should I put the desk / filing cabinet / shelves? Should keep it, shred it, scan it? delayed decisions. clutter. It makes sense right? When I make a decision I immediately feel my mind clear, my mood is lighter, I am more “in control”. When I sit in uncertainty I feel out of control, overwhelmed and cluttered. As business owners, mothers, fathers, partners, daughters, sons, sisters, brothers … we have a lot of decisions facing us each day. A LOT. Are there ways we can remove some of these decisions so that we don’t feel like we have a mountain to climb in the decision making department before we finish our first cup of coffee? 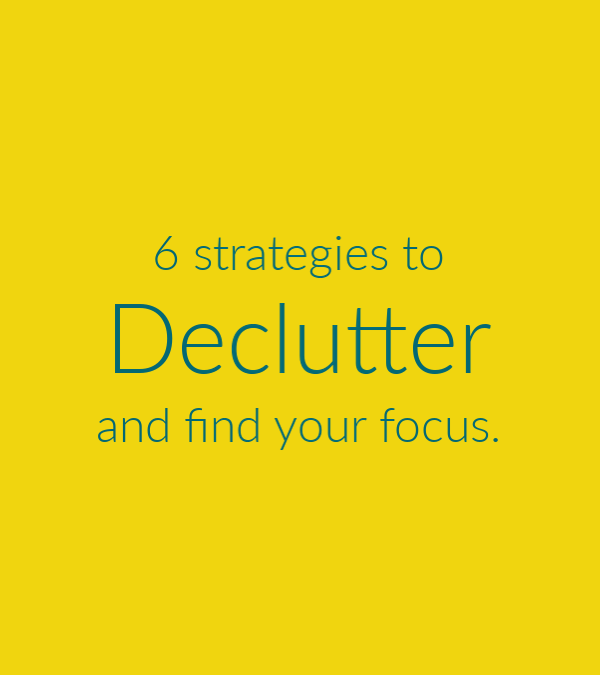 Here are 6 strategies I’ve used to help me clear my own clutter and stay focused, productive and moving forward in my life. The CHALLENGE: What I hear often is that as you start to work through this exercise you find yourself actually ‘doing’ the easy stuff. Register kids for soccer. Add milk and butter to the grocery list. Call mom. You know, the easy stuff … pretty soon you’re busy ‘doing’ and not actually dumping all that’s in your brain. The FIX: set a timer, I recommend 20-30 minutes maximum and ONLY DUMP – DO NOT DO. Please do not actually cross one single thing off that list during this time. Only clear your mind of all that you’re trying to remember and hold on too. Use a list of guide words and prompts to ensure you’ve thought about all areas of your life. Think of this step like freeing up RAM on computer. You’re closing out programs and screen to make the one thing you need to focus on work better and faster. The CHALLENGE: We write (either on paper or electronically) lists of things to do, ideas we have and projects to completed. Generally this list is hard to sort and prioritize. So we re-write it. Again and again. Or we start ‘brainstorming’ in a methodical and controlled manner under headings, only to find it often kills the very momentum that brainstorming is designed to create. The FIX: Use sticky notes for your brain dump – one for each idea / tasks / “to-do”. It’s easier to sort and group once you’re done the ‘dump’ and you can easily discard the ones you choose not to focus on. You can keep them on a wall in your office, or in a binder / notebook to take with you. You can also use an electronic version of sticky notes and have them on your laptop, always accessible wherever you are. Group your ideas, to-do’s and projects into broad categories like Family, Household, General Business, Website, Content, Social Media, Key Projects, etc. The CHALLENGE: Once we have a list of ideas and to-do’s we are often so excited to get going we dive right in and just start doing! How do you know you’re working on the “right” things? Don’t miss the critical step of reviewing, culling and screening all the ideas you just generated. The FIX: Set aside another 20-30 minutes, again set a timer. There is no “right” answer on this, it’s personal and unique to you, your family and your business. This exercise shouldn’t take long, generally your intuition will guide you through this process. There will be important ideas and projects that require your attention and there will be ones that are not so important right now. Give yourself permission to “park” the ones that don’t need your attention. It will clear up mental space so you can focus on what is truly important. Keep this “parking lot” open and as new ideas come your way, write them down on a sticky note and ‘park’ them, they’ll be waiting for you when you’re ready to tackle them. The CHALLENGE: Most of us have a belief that multi-tasking is the way to achieve more. We couldn’t be more wrong about this. Focusing on one thing and finishing it build far more momentum and increases your productivity than multi-tasking ever could. The FIX: Pick one thing and get it done. Then move on to the next. Focusing on one thing and finishing it build far more momentum and increases your productivity than multi-tasking ever could. The CHALLENGE: We don’t set deadlines for ourselves or we say things, “I’ll get it done today” or “I’ll do that next week”. 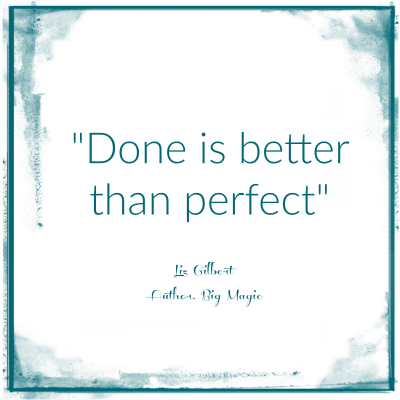 This is non-committal and provides us too many ways out of getting things done. The FIX: Use time blocks and give yourself deadlines. If you know you only have 30 minutes to finish a task you will generally be way more productive than if you give yourself a large window of time. I usually set a timer for 60 minutes and start knocking things off my list. It allows my kids to know how much longer I’m working and when they can expect my full attention and I know I only have that window of time to work on my business. When I do this I’m focused and always accomplish far more than when I tell myself I have all day to get something done. The CHALLENGE: In the busyness of life we often forget to pay attention to what’s working and what’s not. We have good days, really productive moments and then those days were getting meals on the table is a struggle. The first step in solving any problem or issue is awareness. The FIX: Pay attention to WHERE and WHEN you do your best work. It’s not the same for all people and it’s critical you understand this aspect of yourself. Ensure your week is structured so that you have a couple of time-blocks at the best location and time to support your efforts. Pay attention to the natural rhythms of your life, your family and your business and use them to your advantages. For me, my most productive time is early morning while everyone else is sleeping and the house is quiet. My mind is clear after my morning run and I have an abundance of energy I can pour into my work. I plan on three mornings a week like this and if I get more it’s bonus time! Later in the day, I need to be out of the house. I work best early afternoons at a local coffee shop. We are all unique and no one system will work for each of use. To be successful at clearing clutter we need to know ourselves, our families, our businesses and build systems & processes that support our own unique way of living. 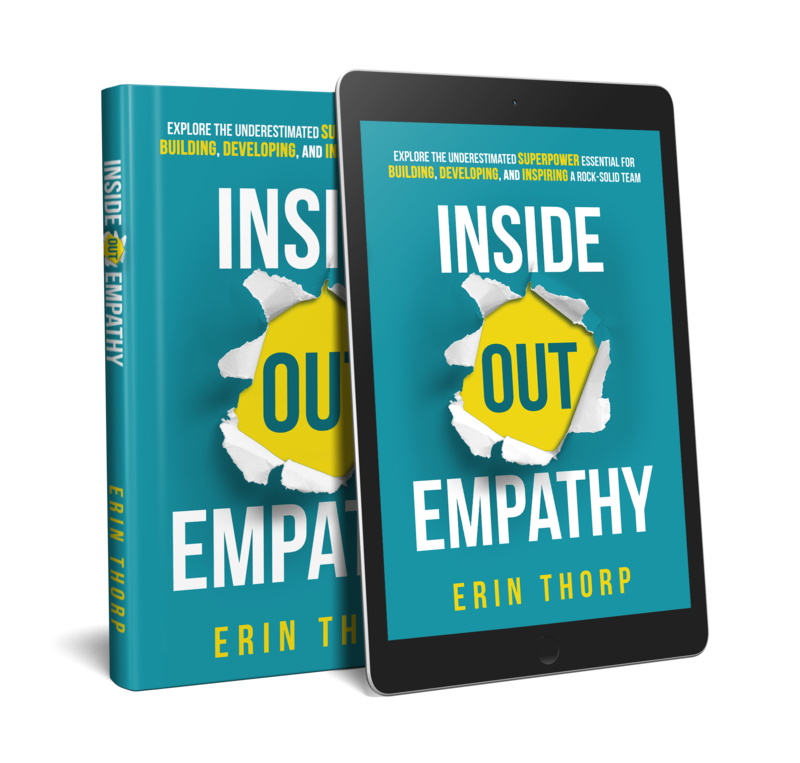 Try implementing these strategies whenever you feel the dread of overwhelm setting in and I know you’ll be able to move through your clutter with ease and grace. Thanks for putting this apparently common problem of clutter in perspective! I thought it was just me! 😉 LoL! Seriously! Very helpful advice! 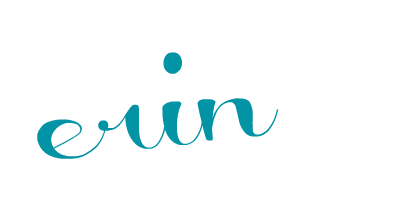 I’m going to review this post weekly…just to *stay* reminded! Thanks for the follow on Twitter! Glad I found you!